Hillary Clinton's 2016 campaign chairman John Podesta is likely to be interviewed by the House intelligence committee next week. 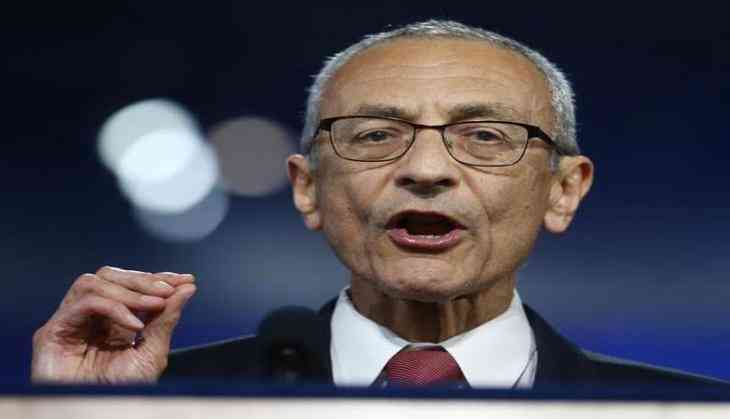 Podesta's hacked email account became central to Russian meddling in the US election last year and embarrassment for Clinton in the heat of the campaign season. The committee will try to determine the extent of the Russian involvement in last year's campaign and whether any of President Donald Trump's associates coordinated with the Russians. CNN quoted sources as saying that the committee sent out requests to interview six witnesses this week with Podesta expected to be interviewed next week in a classified session.